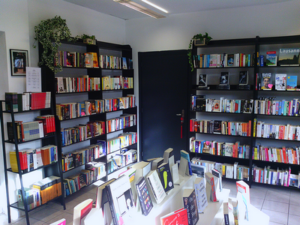 After almost ten years of faithful service, we’ve decided to create a new website for the English Bookshop. We’re going to be adding reviews of the books we are reading and news on upcoming events, as well as lists of great books you need to live in Switzerland, by local authors, for your one-on-one time with a book on the beach! Eventually, we’ll be adding a little shopping cart so you can support your local independent bookseller from the comfort of your own home. We hope you enjoy the new site and we look forward to seeing you at the shop.